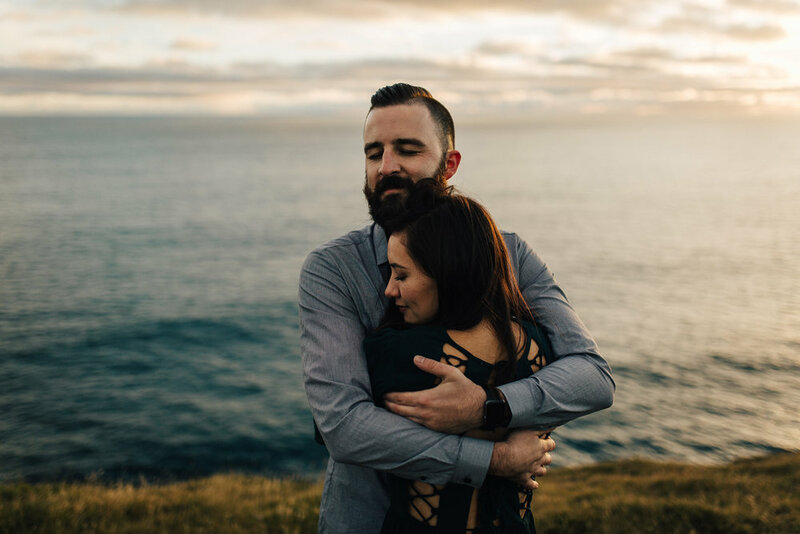 Here is a short but super sweet engagement shoot that proves you don't always have to travel far to get unique photos. 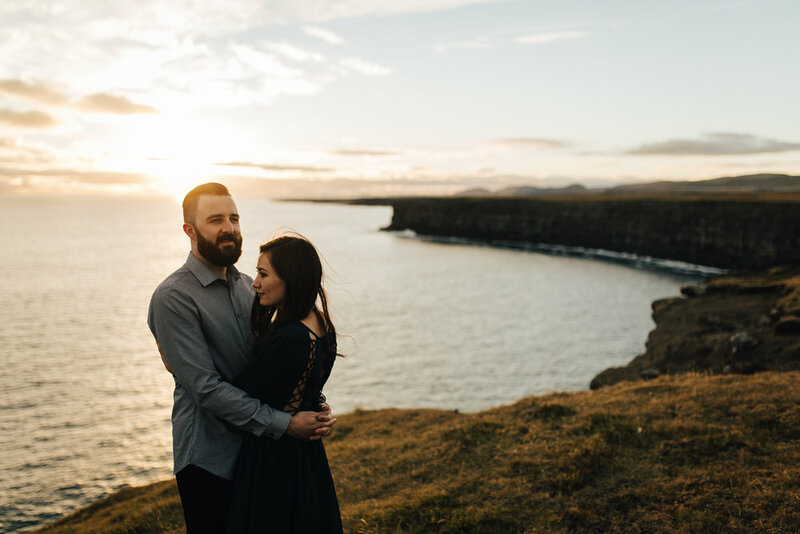 Joanne and Blake did travel quite far to get to Iceland though, all the way from California but they only went on a short drive with us from Reykjavík to explore Iceland and get some photos. We headed out just before sunset to get the best light and made a quick stop by a lake with crazy rock formations that must have been trolls in their past life, then we drove past lava fields and sulphur smelling hot springs and finally found our selves driving along a sketchy road we had never been down before. 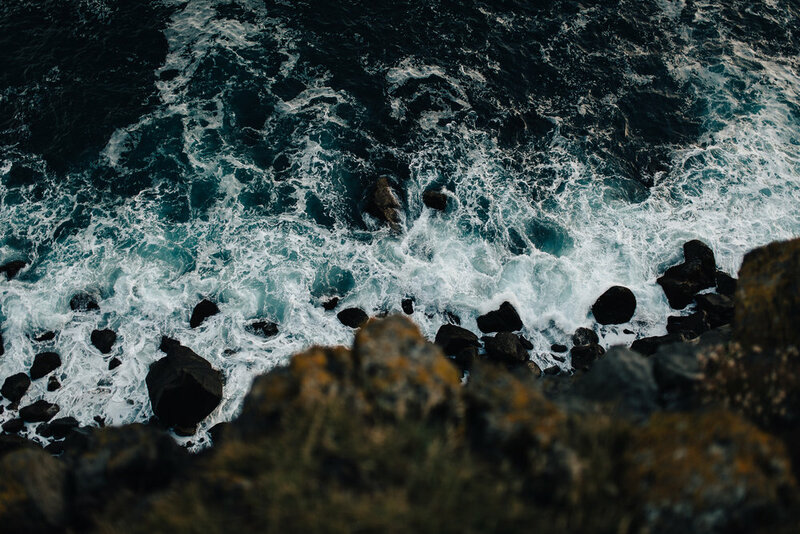 That road ended in the middle of nowhere by these crazy sea cliffs just as the sun was touching the horizon, casting golden light over the cliffs, making an already magnificent sight seem out of this world. And all this after just a 30 minute drive from the cup of coffee we shared before the shoot.